A freeze warning for inland Broward and Palm Beach counties was set to begin Friday at 1 a.m. and last through 8 a.m.
Thursday was a sunny day. There wasn't a cloud in the sky. Still, some people were bundled up on Miami Beach. "I just came from Puerto Rico and it was warm, so yeah, it's cold for me," Lisa Fervek said. She lives in New York, but just flew into Miami from Puerto Rico. "I was hoping for some better weather, but the sun is shining so it's still good." Temperatures were in the low 60s during the day. But tables outside restaurants sat empty even though heaters were rolled out to keep people warm. Temperatures are expected to dip into the 40s Thursday night, with near-freezing conditions taking over parts of South Florida. 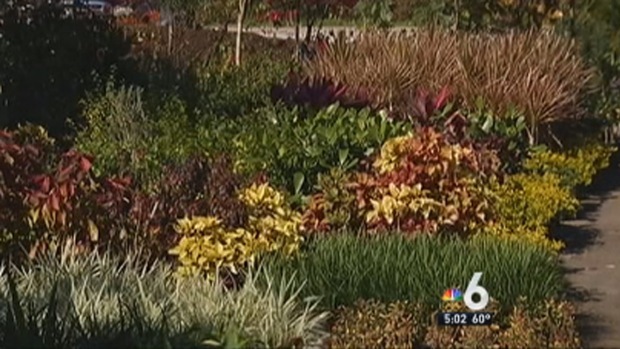 NBC 6's Ari Odzer has some tips for residents who may not be used to the cooler weather. Not everyone complained, however. Segway riders enjoyed the weather. So did a man walking along Ocean Drive – shirtless. "It was like zero degrees the day before I came from Michigan. We actually had 16 inches of snow too," Chris Sutter said. "This is absolutely fine." 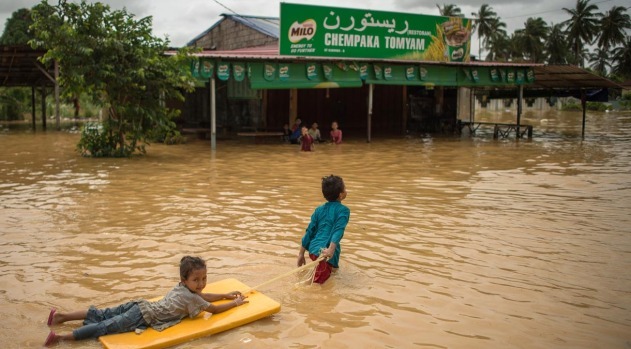 "I imagine if you're used to this kind of weather all the time, this probably would be cold," Jamal Satti from Virginia said. "We're actually grabbing a sweater right now because being here for two days, we think, oh this must be cold. Everyone else thinks this is cold." One New Yorker claimed he wasn't chilly, but was spotted in a sweater. "You guys should come up to New York and see what cold is like," Seth Hochhouser said. "I'm not chilly. I'm trying to look chill. There's a difference." Temperatures dropped into the 50s Thursday evening. They fell into the 40s Thursday night, with some places inland seeing temps in the 30s. A freeze warning for inland Broward, Palm Beach and Collier counties was set to begin Friday at 1 a.m. and last through 8 a.m., the National Weather Service said. The agency said a freeze watch it previously issued was no longer in effect. Meanwhile, a frost advisory was issued for inland Miami-Dade and mainland Monroe counties that would be in effect Friday from 4 a.m. to 8 a.m. The National Weather Service warned of possible agricultural damage, and said sensitive outdoor plants could be killed if left uncovered. In Broward, Ramon Rivera of 7 Brothers Nursery in Davie had his hands full. His nursery has tons of inventory vulnerable to cold temperatures, like mango and avocado trees, copper leaf shrubs, crotons and other tropical plants. But the veteran of Florida's weather patterns had a plan if it gets frosty Thursday night. "First thing is, I turn my sprinklers on. If I have to run them all night, I do it, and that gonna help these plants a lot,” Rivera said. He was also planning to move a bunch of his plants into his greenhouse just in case it gets too cold. There were contrasting reactions to the weather on Hallandale Beach, as one woman wore a parka – and another a bikini. George Elling, a tourist from New Jersey, said he didn’t feel cold. “No, I think it’s great,” he said. 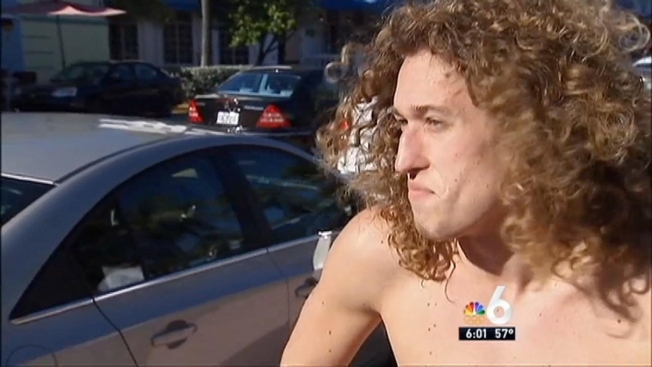 Elling was asked what he thinks when he sees people in South Florida all bundled up. "I think that you're sensing that this is winter for you, but it's spring, summer for us,” he said.